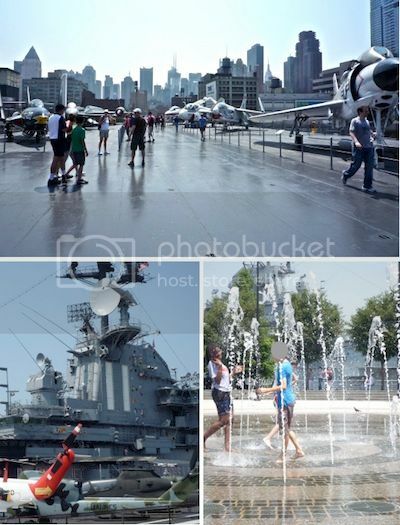 When planning our trip, I wanted to make sure DS would get the most of the city's amazing sights and attractions, but it was equally important to find things particular fun for kids, as well as some calm activities.. full on sightseeing can easily get tiring and overwhelming after a couple of days. 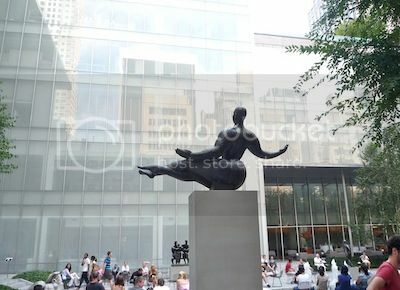 A lovely calm place we all enjoyed was the Abby Albrich Rockefeller sculpture garden at the MoMA, just a few steps away from where we stayed. 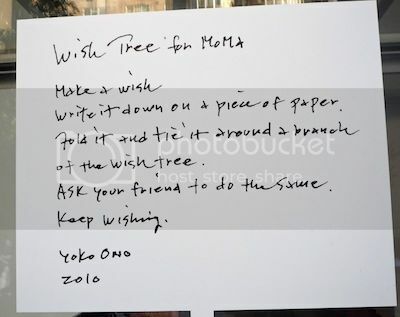 DS loved Yoko Ono's Wish tree ..
MoMA's little sister, the P.S.1, can be reached by train (line No 7), which presents the great opportunity to make Grand Central Station the departing point of a short trip into Queens, which DS of course loved. 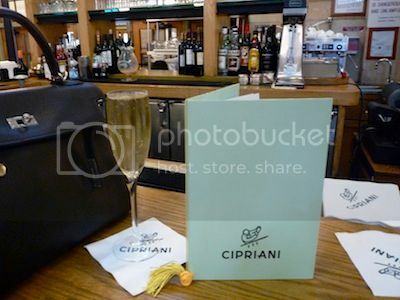 We planned to have lunch at the Oyster Bar beforehand, but as it was closed we went to the Cipriani Dolci instead, which had the added bonus of overlooking the magnificent main hall of the station. 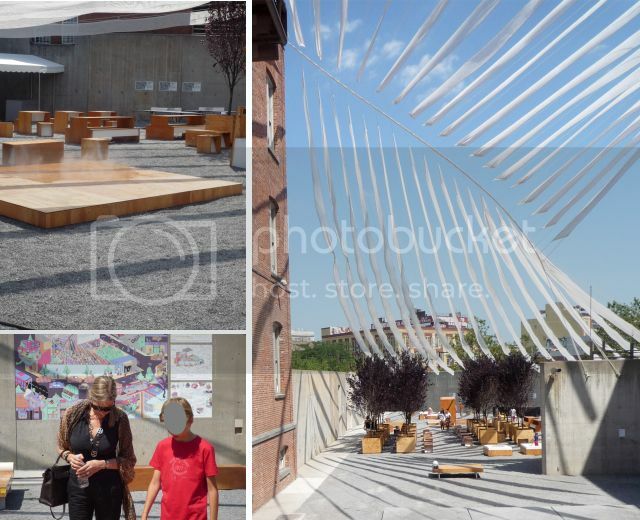 The outside space offers more exhibits, but also places to relax, watergames, ping pong tables and sand boxes, which makes it a great place to go with children of all ages. 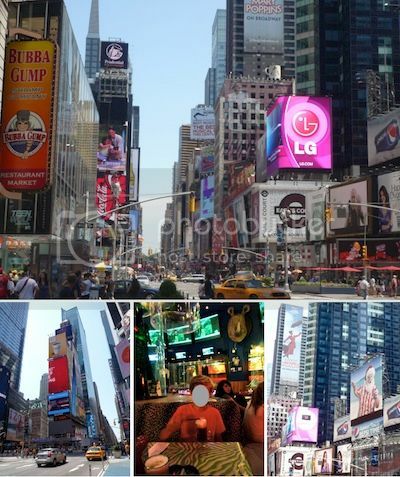 DS was absolutely dazzled by Times Square, and was keen to have breakfast one day at Planet Hollywood. It was a luke warm experience, we all preferred the 'local' breakfast cafe. An evening show was a must, and if we hadn't already seen 'Lion King' in London a couple of years ago, it would have been on top of the list. Instead we saw Spiderman: Turn off the dark, which DS loved. The flying, special effects and projections were stunning, and overall a great success, even though lacking in great songs. Another hit was the Harry Potter exposition at the Discovery Times Square, featuring props and sets used in the films. The perfection and attention to detail was truly impressive, and for those familar with the books or films it is a fun place to visit. The Intrepid aircraft carrier (and Growler submarine) on the west side of Manhattan was very popular with the boys, slightly less fascinating for me though. 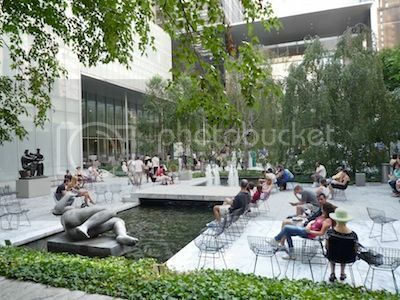 It was unbelievably hot that day, and when going next door to Pier 84, DS headed straight to the play-fountain, and cooled himself off by getting completely soaked, while DH and enjoyed a cold drink on the shaded terrasse of a cafe. From there, we took the Water Taxi (the hop on and off is great) for a 90 minute boat trip round the tip of Manhatten, and enjoyed stunning waterfront views of the skyline. A fun alternative would have been a Duck tour, but we did not get round to it. Looking the skyline from above was a must, and when going to the Observation Center of the Empire State Building, we also went to see the 'New York Sky Ride' (located on the 2nd floor) a motion-animated film which lets you explore New York by zooming through at breakneck speed (a definite hit with DS). In terms of best views, we preferred the Top of the Rocks' (on top of the Rockefeller Center). The ride on the lift up to the top is an attraction to itself, the ceiling is made of glass, and little blue lights illuminate the tunnel all the way up to the top. Stepping outside the Rockefeller Center, you see the Lego Flagship Store, (according to DS, a kid's equivalent to FSH) which has the world's tallest 'Pick a brick' wall. 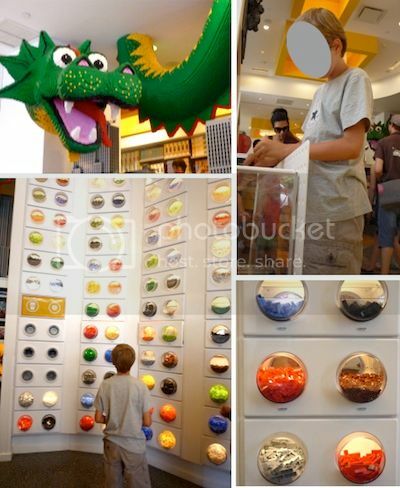 DS, who has always been a huge fan of Lego, landed in paradise.. The Tiffany shop, only a few buildings further on, was a surprise hit. 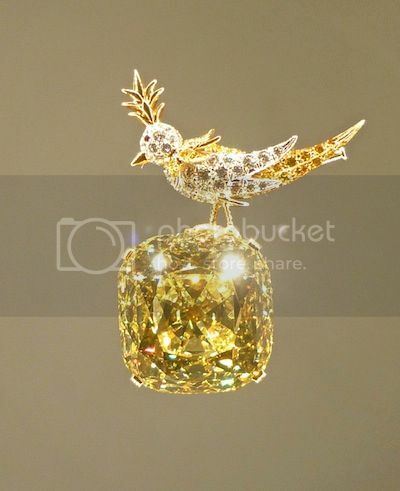 DS discovered the display with the Tiffany Diamond, (the world's biggest fancy diamond, a stunning 128 carat.) We were all taken by it's beauty and magnificence. Because of the jet lag we woke up so much earlier than ususal, but made the most of it by visiting the most popular attractions in the early mornings (Empire State, Top of the Rocks, Statue of Libery), when there were hardly any queues. 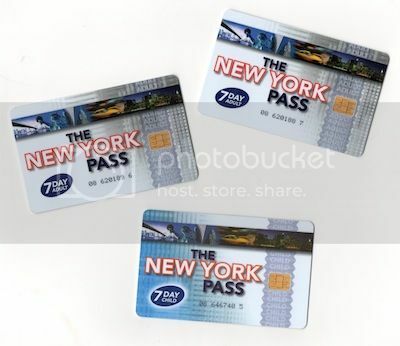 Another great help was to have purchased the New York pass upfront, which gives access to most attractions in a fast lane (no fast lane for the security checks though). Going on a hop-on-hop-off bus tour during the first couple of days is a great way to get an overview of a city without having to walk for miles, and you can get off at all sights of interest to explore them in depth. So far, we have done this in every city we visited with DS, and it has always been a huge success. Bike and roll bike rentals: At the Merchant's Gate entrance to Central Park, just NE of Columbus Circle. 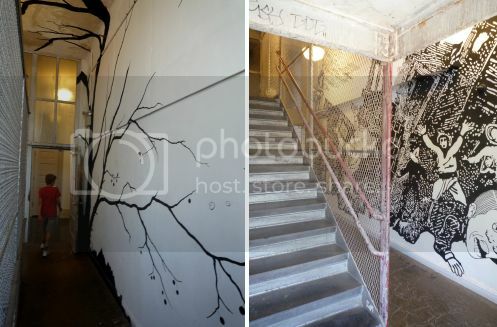 Great photos and report! Thank you for sharing! I love NYC! We plan the next trip there this autumn. Have a great trip to NYC in autumn, dear Tereza. How wonderful to escape the heat, wishing you a most fun time. You really did plan the trip well to fit all of that in despite the heat. Once again thank you for sharing your family trip with us dear MT. It looks like you made the most of it and that you all had a wonderful time. Your necklace must be so beautiful and special, dear Laura. A little sister of the big rock! It certainly was one of the busiest vacations, my dear booksnchocolate. Those idle pre-kid holidays seem to have become a distant memory, LOL. It looks like a wonderful trip MaiTai, with something for everyone (even though I can appreciate that the aircraft carrier and submarine weren't your favourite! 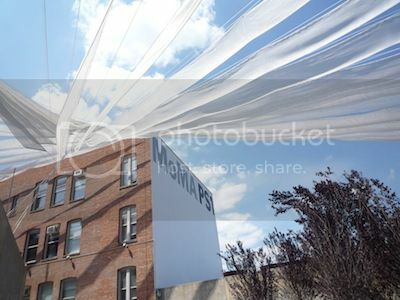 :) ) I've never been to NY but would love to go one day. I hope you are having a lovely week relaxing after an action-packed trip! Are you busy with your lavender harvest this year, or was that finished before you left? 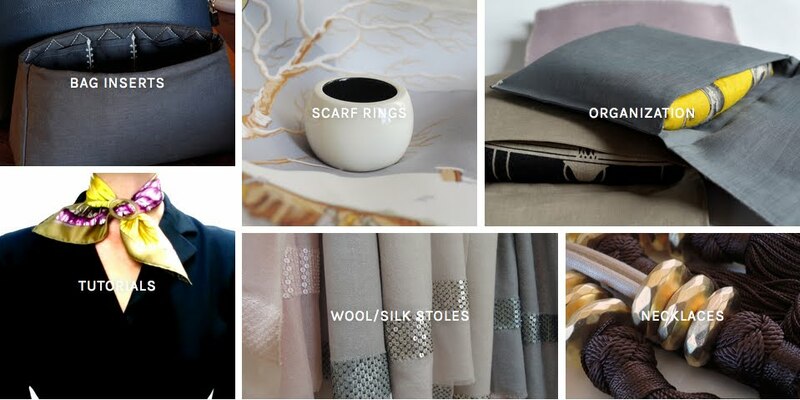 PS: And I LOVED your capsule travel wardrobe from the previous post. Mr Melusine and I are off to the south of France in just over a week for a little holiday and I'll be using your post as a basis for my packing. We can't wait! It looks like you saw the best the City has to offer kids, in spite of the weather, which really refuses to cooperate this year. I'm on my way there this weekend (from Washington, DC - not such a long trip). I will have to try Maze. Your photos of the food look delicious! As always, your posts are an inspiration! Cheers! I'll have to join in and say that your trip looked wonderful! I still don't understand how you can still look so lovely in the heat, when I would have wilted. Also, thank you for the packing post. They will come in handy real soon. Thanks so much for sharing your vacation with us. Wonderful memories for all of you, and especially your son, I imagine. And you look elegant, despite the heat! What a very special treat to be able to share your NY sightseeing highlights. 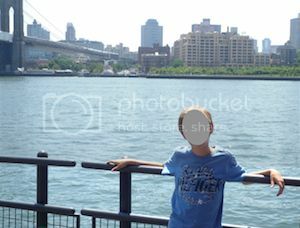 I'm so delighted your DS found fun and happy memories for his first trip to the Big Apple. Such a rich and full menu of activities - so wonderful to see and experience an abundant variety from many angles and views. 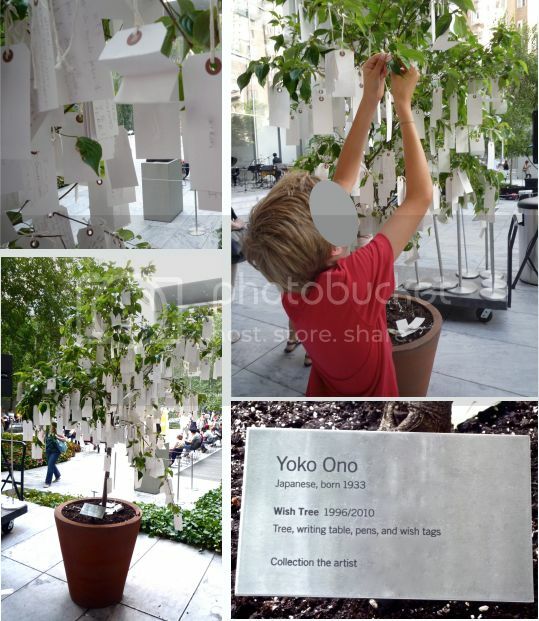 Love the many great shots of your DS - hanging his wish on the Wish Tree is too sweet. 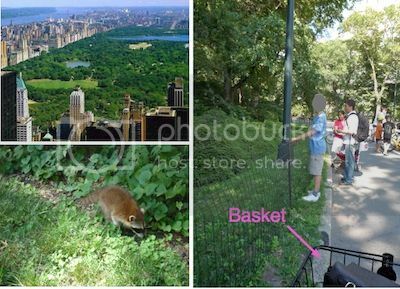 And what great eyes he has for spotting the adorable raccoons - isn't NY full of surprises? The Tiffany Diamond is truly mesmerizing - the floating display is simply breathtaking. As usual, you look absolutely amazing, my dear. And as dear Manuela said, I especially loved the happy souvenir family photo at the Empire State, so joyful. Thank you for always including the links and the contact infos to the places visited - so very kind of you and helpful for so many. Many thanks, dear Melusine! The last couple of weeks were action-packed too, but today has been lovely and tranquil. Wishing you a most wonderful trip to the South of France. I’ll be away in about a week too, until the 14th, it would have been lovely to meet otherwise. Hope you are having a great time, dear Jocelyn, and that the weather is not quite as as when we were there.. Wishing you a lovely dinner at the Maze! How fun you enjoyed both rocks too, dear Scarf Addict! ITA with the views on the ESB, it is truly a fabulous sight. Orange hugs right back to you, my dear CS. The temperatures were very similar to the South of France at the time we left, so it was not such a huge shock. Really enjoyed the wonderful air-conditioning everywhere though! 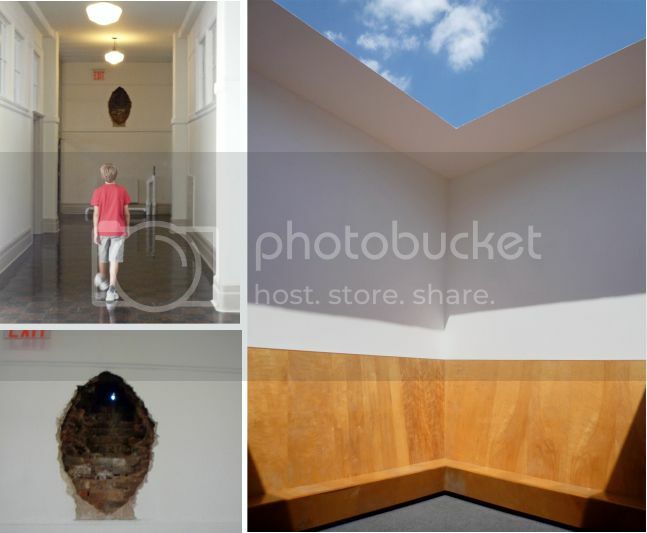 Thanks for sharing pics and information about NYC, you and your family look had a wonderful holiday. Have a good rest and lovely days. Welcome to you my blog, A. Hope you'll continue to enjoy it here.